Welcome to vineyards venezia grande estates, where a distinctive, majestic gated-entry leads you to a prestigious enclave of 24 custom estate homes on this private brick paved cul-de-sac. Built in 2015, this timeless architectural masterpiece offers over 4,200 sq ft. Of furnished, air-conditioned living space with every luxury desire met including hand-carved stone entry and 180 degrees of premium golf views on a sprawling45 acre lot. 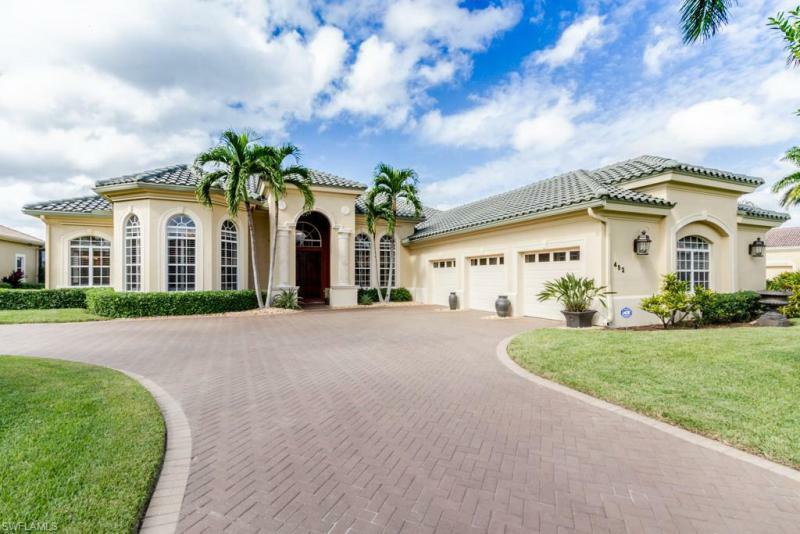 Four bedrooms plus den, four and a half baths and three car garage, this neo-classic estate features imported marble flooring and custom cabinetry throughout, gourmet kitchen with gas stove, elegant gas fireplace, plantation shutters and two wet bars. An expansive lanai highlights the extravagant pool and spa with covered area including an outdoor kitchen for the ultimate entertaining. Impact glass throughout and a new pool cage with picture-window framing to ensure endless golf course views and blue skies above. Vineyards country club offers an optional private membership complete with 36 holes of championship golf, 12 har-tru tennis courts, award winning fitness center and a resort style pool and spa. Former cambridge model, ideally placed to accentuate one of the most spectacular views in the vineyards! Exceptional floor plan includes one-level living and multiple entertaining areas complete with walls of glass that pocket back and open onto covered loggia. New custom kitchen, with top-tier monogram appliances, quartz countertops, and subway tile backsplash. Separate master suite with dual walk-in closets, large marble shower, and jacuzzi jetted tub. Extensive upgrades including control 4 centralized lighting and entertaining system, newly installed dry bar with sub-zero wine refrigerator and plantation shutters throughout. Outdoor kitchen complete with lynx grill overlooks expansive salt water pool, complete with sun shelf and spill over spa. The vineyards is a private country club offering two 18-hole courses, active tennis program and various other activities including a 15,000-square-foot wellness center and spa. Full golf membership included with purchase!!! Fresh new look! Custom built estate home in the prestigious terracina neighborhood in vineyards. Four bedrooms plus a den, four and a half baths and three car garage. Expanded windsor model with over 4300 square feet under air. Huge bonus room on the second floor with a full bath. 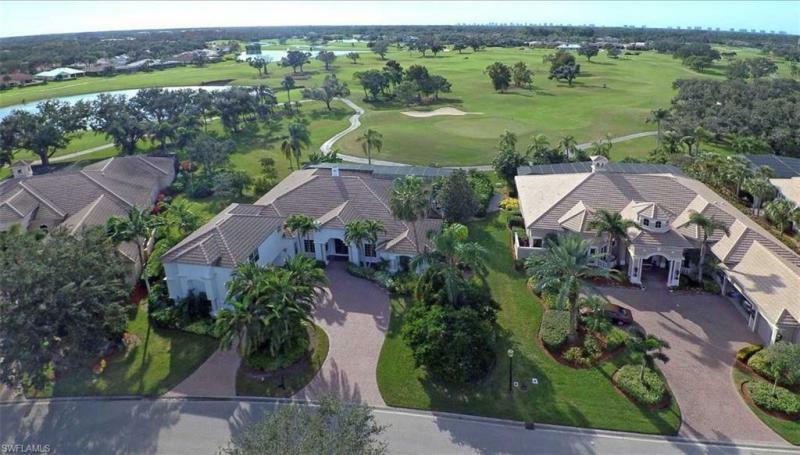 Southwestern exposure with panoramic golf course and lake views! Heated pool and spa. Private entertaining on the expansive pavered lanai. Electric hurricane shutters. Extra storage complete with air conditioned storage room. Many upgrades! Gas fireplace, crown moldings, tray ceilings, custom cabinetry, granite countertops in kitchen, tumbled marble backsplash, stainless steele appliances, gas cooktop. Automatic led landscape lighting. Large pavered circular drive. Vineyards country club offers four levels of optional private membership complete with 36 holes of championship golf, 12 har-tru tennis courts, pickleball & bocce. Brand new wellness & spa facility with fitness center, caf, halotherapy salt room, massage and salon services, salt water lap pool. 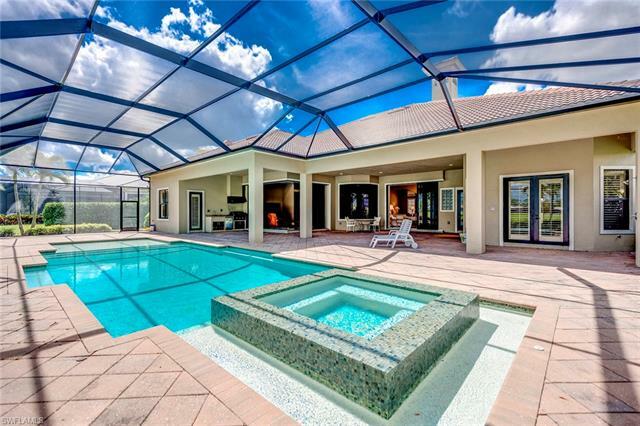 H. 13716 set within the exclusive hammock isles at the vineyards, this premium home is a masterclass in luxury. From the sprawling 3598 sqft floorplan to the bespoke features & grand architecture, this is a home perfectly crafted for those who prefer the finer things in life. Whether you like to entertain, relax in the sunshine or indulge in quiet escape, there is a space for you. Soaring ceilings, an open-concept floorplan and a seamless flow from the inside to the outdoor living spaces create a light-filled and welcoming home. Coffered ceilings, designer chandeliers and travertine flooring enhance the luxurious feel of this expansive home, while the gourmet kitchen with granite counters, custom cherry cabinetry & a suite of upgraded appliances adds functionality. There are four bedrooms including the stunning master suite. Separate from the other bedrooms, the oversized master boasts custom closets, plus its own hot water system that serves the exquisite ensuite with walk-in shower and jetted tub. The outdoor living spaces are just as impressive with a heated pool and spa, plus a lounge area and lanai with summer kitchen, rotisserie grill & bar surrounded by lush tropical gardens. H. 14432 the stunning home youve been looking for is now on the market. 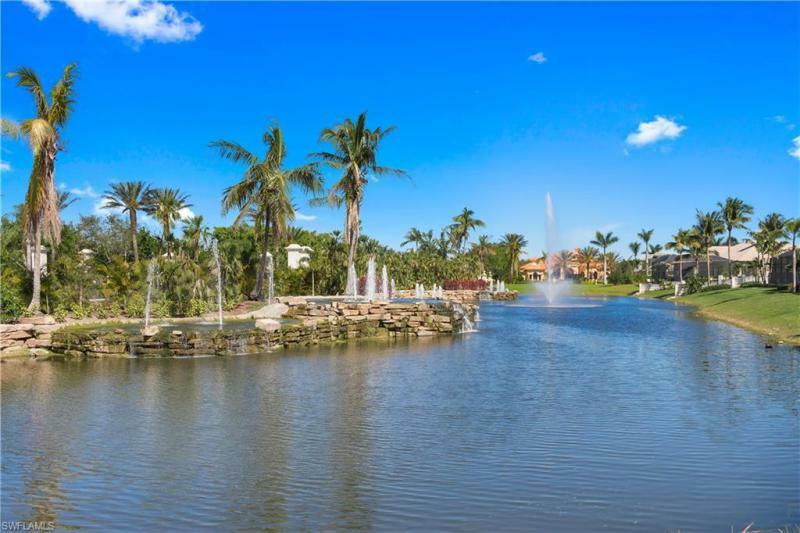 Hammock isles is a premier vineyards quality neighborhood in the heart of north naples. This home is a masterpiece of contemporary interior design with a multitude of special custom features. Imagine sharing an evening with friends and family on your spacious lanai with lap pool and spa overlooking a lake and sparkling fountain. Your dinner is roasting on the grill in the outdoor kitchen and a custom wine rack is just steps away in the game room. Other custom features include a tv wall unit, roman shades and the large expanse of sliders to the lanai are framed by unique wood panels. The well appointed kitchen opens to the living room that adds to the casual open style floorplan. H. 13744 - soaring ceilings, crown molding, tray ceilings, gorgeous majestic wood floors, curved doorways, & miles of glass, all on the 15th green! Brand new pool screen cage,freshly painted kitchen,family rm. Living & dining rms: all neutral and ready to move in! Modern cooks kitchen: cherry cabinetry, island, breakfast bar & stainless top of the line appliances. Even a wolf 4 burner gas cooktop! Love to entertain? An exceptional floorplan where dining, living, & breakfast rooms, plus oversized family room, flow easily from one to the other. Home office too: custom built-ins, french doors, walk-in closet, huge window & custom shutters. Dream master suite: wood floors, sitting area, double doors out to the lanai & 2 walk-in custom closets. Serene spa-like bath w/ 2 elevated vanities, makeup area, spa tub, large walk-in shower with pebble floor & 96 of clear glass surround. The guest rooms? Set away from the master bedroom for privacy & comfort incl. An in-law suite, or media room, with pool & patio access! Sparkling blue pool & tiered spa surrounded tropical foliage for maximum seclusion + travertine stone, & summer kitchen with built-in gas grill. Over 15 closets & 3 car garage!